NEW BRITAIN - Sunday marked history in the city - the 40th birthday of the grandson of the couple who, 20 years ago Sunday, sold the East Side Restaurant to the Augustino family. 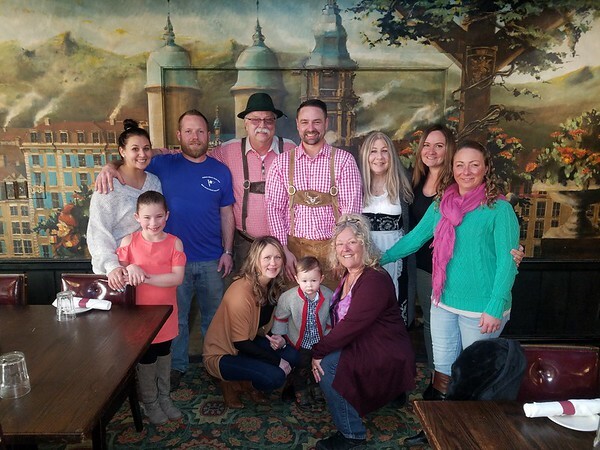 According to Hunter Mathena, a New Britain real estate agent, he realized the coincidence when he was booking a section of the East Side to celebrate his 40th birthday. Mathena’s grandparents, William and Ruth Bloethe, owned the restaurant for 47 years. They sold it on Feb. 11, 1999, to Nick and Barbara Augustino. Mathena said he is grateful that the Augustino family bought the restaurant and have kept it a good destination because it helped his grandfather’s quality of life. Augustino said that the restaurant was established about 90 years ago as the East Side Restaurant and the menus have never changed. Mathena said that while Augustino has kept the restaurant with a lot of the same traditions, his personal touches have kept it a destination. Mathena said his family stays in touch with the Augustinos and often visit the restaurant to celebrate family events. “It was fitting and too ironic to not have the party here,” he said about his birthday celebration. The East Side Restaurant will soon be opening a seafood restaurant on West Main Street. To learn more about the East Side Restaurant, call 860-223-1188 or visit www.eastsiderestaurant.com . Posted in New Britain Herald, New Britain on Sunday, 10 February 2019 21:06. Updated: Sunday, 10 February 2019 21:09.